This weekend, actress-turned-activist Emma Watson took the UN by storm. And now, the viral video has been met with both praise and excitement. 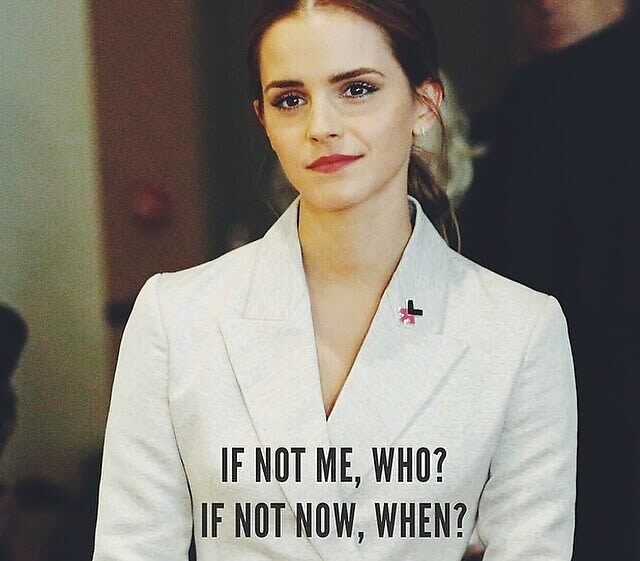 Emma, a Goodwill Ambassador for U.N. Women, delivered an empowering, moving, and brilliant speech discussing "HeForShe," the new campaign meant to bring together men and women in a fight for gender equality. Throughout the speech, Emma received applause and by the end she had everyone on their feet. She said, "We want to end gender inequality, and to do this, we need everyone involved." Emma explained that "HeForShe" is the first campaign of its kind at the UN, gathering men and boys for their support. She continued, "Fighting for women's rights has too often become synonymous with man hating. If there is one thing I know for certain, it is that this has to stop." The speech, followed by a UN Women's "HeForShe" after party in NYC, is filled with empowering and thought-provoking quotes. Click through our slideshow to read more from the speech, because we think the words speak for themselves.